before the days of VHS and DVD’s remember how back then, there were two ways to see a movie: At the theatre–the big one screeners, that is, not today’s multiplexes, or on television. So when TV Guide listed a movie you’d like to see, you circled it and turned in early. Sometimes, the movie would be so special, it wasn’t just a showing. It was an event. For me, that movie was The Sound of Music. It played on television about once a year, usually on a weeknight, and everybody at elementary school … I mean EVERYBODY … watched it, unless, of course, their parents were really horrible. Mine, thank goodness, were not. On that sacred night, I was allowed to stay up late, bundled in pajamas on our laminate floor, a bowl of popcorn on my lap, buttery fingers blindly guiding kernel after kernel into my mouth, eyes glued to our small television, and my soul completely captured from the moment Julie Andrews first twirls on a grassy meadow in the Swiss Alps, to that delightful moment when the children cry with guilt after Maria sits on a pine cone, those naughty nuns deflect the Nazis by sabotaging their cars, to the final scene when the entire von Trappe family cross the mountains into Switzerland and freedom. When The Sound of Music came on, it wasn’t just a movie. It was an event. Which is why I had reservations over watching NBC’s The Sound of Music Live! 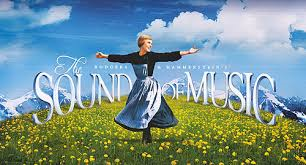 I mean, love Carrie Underwood and all, but could she fill the shoes of Julie Andrews? Would the live presentation have the same charm without the gorgeous scenery from the original movie? No, Carrie couldn’t. 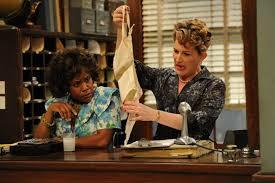 And it lacked charm, although to be fair, it was based on the stage version, not the movie. … and were completely captivated from the moment Jessie J pranced through the staging area all the way to that joyous, colorful final scene at the carnival. I loved every moment. It was fun. It was delightful. It honored both the movie and Broadway version, making me sing along and then furiously Tweet during commercials, scrambling to read what everyone else was saying, something I’ve NEVER done before. The choreography! The singing! The incredible camerawork and staging! And good God, the insane dance moves like this one! Sure, there were a few bobbles, like the audio feed cutting out during Doing the Hand Jive. There was some overacting, some under-acting, and times when I missed Travolta’s swagger and charm, (don’t hate me Aaron Tveit fans.) But Julianne Hough was absolutely amazing! Did she fill Olivia Newton-John’s shoes? Well, no, nobody can, but brought her own charm to the role. And have I mentioned that insane dance move yet? 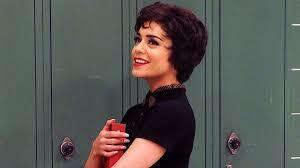 Vanessa Hudgens nailing the role of Rizzo..
… and too many others to list. I seriously can’t remember the last time I’ve enjoyed an evening of television more. So to the entire cast and crew of Grease Live, BRAVO! Brilliant job, from start to finish, and I shall categorize this eventful memory somewhere between those yearly showings of The Sound of Music and Grease’s album on repeat. Next up … #ThePassionLive with Tyler Perry.